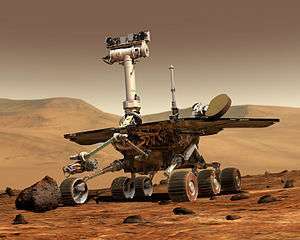 The Mars Exploration Rovers have provided huge amounts of information by functioning well beyond NASA's original estimates. Astrophysicists studying the universe confirmed its age at 13.7 billion years, discovered that it will most likely expand forever without limit, and concluded that only 4% of the universe's contents are ordinary matter (the other 96% being still-mysterious dark matter, dark energy, and dark flow). The Mars Exploration Rover (MER) Mission successfully reached the surface of Mars in 2004, and sent detailed data and images of the landscape there back to Earth. Whilst NASA's original mission timeline of 3 months was incorrectly speculated, the mission was tremendously successful overall in the long term, as the MER Mission continues until this day, lasting nearly 25x the projected length. National Geographic and IBM funded The Genographic Project which traced every living human down to a single male ancestor. On 29 July 2005, the discovery of Eris, a Kuiper Belt object larger than Pluto, was announced. In August 2006 Pluto was demoted to a "dwarf planet" after being considered a planet for 76 years. Other "dwarf planets" in our solar system now include Ceres and Eris. Space tourism/Private spaceflight began with American Dennis Tito, paying Russia $20 million USD for a week-long stay to the International Space Station. The Voyager I spacecraft entered the heliosheath, marking its departure from our solar system. Scientists discovered water ice on the moon in 2009. AFIS and CODIS became the main forensic tools for fingerprint and genetic code investigation in the industrialized world and some developing countries. 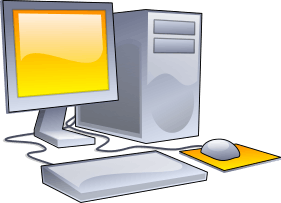 This contemporary illustration shows the look personal computers took, which differed from the monitor-over-system unit look that dominated much of the late 20th century. Personal computers also started coming out mainly in black, in contrast to the universal creamy white of much of the late 20th century. As with the 1980s and 1990s, there continued to be smaller system units, including all-in-one computers. There was a huge jump in broadband internet usage globally - for example, it comprised only 6% of U.S. internet users in June 2000 and one mid-decade study predicted 62% adoption by 2010. Yet, by February 2007, over 80% of US Internet users were connected via broadband and broadband internet became almost a required standard for quality internet browsing. There were 77.4 million broadband subscribers in the US in December 2008, with 264 million broadband subscribers alone in the top 30 countries at that time. There was a boom in music downloading and the use of data compression to quickly transfer music over the Internet, with a corresponding rise of portable digital audio players, typified by Apple Inc.'s iPod, along with other MP3 players. Digital music sales rose, accounting for 6% of all music sales in 2005. Digital music options were integrated into other devices such as smartphones and the popular PSP. By the latter half of the decade, generic MP3 players were starting to mimic the features of the extremely popular iPod and Zune. As a result of the widespread popularity and social impact of Google Search, the word "google" came to be used as a verb. Flash technology reached the point of being able to make video players. As a result, YouTube, a website which allows uploading and viewing videos, was created. YouTube's popularity grew explosively and it was acquired by Google. Data storage prices continued to drop, going from approximately $7 USD per GB in early 2000 to $0.07 USD per GB in 2009. Due to an increase in capacity, USB flash drives rapidly replaced zip disks and 3.5-inch diskettes. 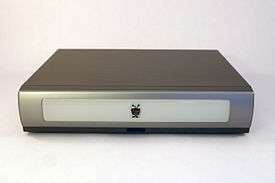 The first 2TB hard drives were developed and beginning to be used. Windows XP and Microsoft Office 2003 became the ubiquitous industry standard in personal computer software, although their successors Windows Vista and, by the end of the decade, Windows 7, saw increasing market penetration. Open source and free software continued to be a notable but minority interest, with versions of Linux gaining in popularity, as well as the Mozilla Firefox web browser and the OpenOffice.org document editor. Blogs, portals, intranets and wikis became common electronic dissemination methods for professionals, amateurs, and businesses to conduct knowledge management. Wikipedia began and grew, becoming both the largest encyclopedia, and the most famous wiki in the world. Wireless networks became ever more commonplace in homes, education institutes and urban public spaces. Peer-to-peer technology was used in a major way, such as internet telephony (Skype), file-sharing. The Internet became a major source of all types of media, from music to movies, thanks initially to file-sharing peer-to-peer programs such as KaZaA and Limewire. The debate continued over the ethics of file-sharing. Legal music download services such as iTunes and streaming services such as Spotify opened up new markets. The video game industry's profits surpassed the movie industry's in 2004. The US tech bubble burst for the most part in late 2000 and after three years of negative growth the technology market began its rebound in 2003. Social networking websites like Myspace and Facebook and microblogging platforms like Twitter gained in popularity. Smartboards in schools gained acceptance and were adopted rapidly during the middle years of the decade. E-book readers using electronic paper technology were developed, and enjoyed modest popularity. The Agile Manifesto was launched and agile project management approaches such as Scrum grew in popularity. However, due to factors such as inflexibility in procurement processes, and lack of expertise among civil servants, government computing projects continued to fail with regularity, notably in the United Kingdom. A large number of software development and software testing jobs in rich nations were offshored to less wealthy countries such as India and Russia, mirroring a globalisation trend that had already occurred in physical manufacturing. This led to a great deal of job creation in the IT sector in countries like India (in parallel with other offshored office jobs such as call centre worker), and the most in-demand Indian software developers found their salaries rose to levels comparable with Western developers, despite the substantially lower costs of living they enjoyed. However, not all employers were happy with the quality of work they saw by outsourcing and offshoring, and some took jobs back in-house, or at least "on-shore". There was also a trend of offshoring software development work to cities like Dubai and Singapore - where Western developers rubbed shoulders with other foreign workers - and "offshoring" within the EU (including nearshoring). Digital cameras became very popular due to rapid decreases in size and cost while photo resolution steadily increased. As a result, sales of film reel cameras diminished greatly, and integration into mobile phones increased greatly; sexting by teenagers also became a controversial social issue, with teenagers - and even in one case a school administrator who investigated a sexting case - being arrested. Graphic cards became powerful enough to render ultra-high-resolution (e.g. 2560x1600) scenes in real time with substantial detail and texture. 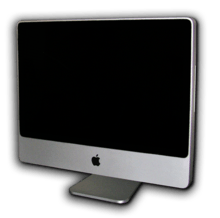 Flat panel displays began displacing cathode ray tubes. This was a dramatic change during the decade, as very few flat panels were sold through the mid-2000s (decade) and the majority of stores sell only flat panel TVs by the end of the decade. Handheld projectors entered the market and were then integrated into cellphones. The digital switchover started to be enforced for television. The introduction of Digital video recorders (DVRs) allowed consumers to modify content they watch on TV, and to record TV programs and watch them later, leading to problems as consumers could fast-forward through commercials, making them useless, and save TV shows for later viewing, causing a decline in live TV viewing. However, these problems were already present with video tapes. Internet usage surpassed TV viewing in 2004. Satellite TV and cable TV (with the exception of digital cable) lost ratings as network television ratings gradually increased. TV networks started streaming shows online. There was an increase in usage of online DVD rental services such as Netflix. DVDs, and subsequently Blu-ray Discs, replaced VCR technology as the common standard in homes and at video stores, although inexpensive VCRs and videocassettes could still be found at some thrift stores and discount stores. There were major advances in hybrid vehicles such as the Toyota Prius, Ford Escape, and the Honda Insight. Many more computers and other technologies were incorporated into vehicles, such as Xenon HID headlights, GPS, DVD players, self-diagnosing systems, advanced pre-collision safety systems, memory systems for car settings, back-up sensors and cameras, in-car media systems, MP3 player compatibility, USB drive compatibility, self-parking systems, keyless start and entry, satellite radio, voice-activation, cellphone connectivity, adaptive headlights, HUD (Head-Up-Display), infrared cameras, and Onstar (on GM models). There was greater interest in future energy development due to global warming and the potential scenario of peak oil, even though these problems had been known about for decades. Photovoltaics increased in popularity and decreased in cost as a result of increased public interest and generous public subsidies. Small, powerful, accessibly priced mobile phones became highly common, and by the end of the decade were expanding quickly in third-world countries. The popularity of mobile phones and Text messaging surged in the 2000s decade in the Western world. The advent of text messaging made possible new forms of interaction that were not possible before, resulting in numerous boons such as the ability to receive information on the move. Nevertheless, it also led to negative social implications such as Text "bullying" and the rise of traffic collisions caused by drivers who were distracted as they were texting while driving. Due to the major success of broadband Internet connections, Voice over IP began to gain popularity as a replacement for traditional telephone lines. Major telecommunications carriers began converting their networks from TDM to VoIP. Unusually for a development heralded by science fiction, videophones were cheap and abundant, yet even by mid-decade, they had not received much attention, perhaps due to the high cost of video calls relative to ordinary calls. Mobile phones adopted features such as Internet access, PDA functions, running software applications, video calling, cameras and video recording, and music and video playback as standard. Higher end smartphones continue to offer extra features such as GPS and Wireless. Due to improvements in mobile phone displays and memories, most mobile phone carriers offered video viewing services, internet services, and some offered full music downloads, such as Sprint in 2005 and more common use of Bluetooth. This led to a virtual saturation of cell phone ownership among the public in the developed world, increasing the use of mobile phones as everyday carry items, and a sharp decline in the use and numbers of payphones. As in previous decades, robotics continued to develop, especially telerobotics in medicine, particularly for surgery. The first robotic vehicle completed the DARPA Grand Challenge in 2005 and became the first vehicle to be able to navigate itself with no external interference. Humanoid robots and robot kits improved considerably, to the point of retailing as toys. This was typified by RoboSapien and Lego Mindstorms respectively. GPS (Global Positioning System) became very popular, especially in the tracking of items or people, and the use in cars. Games that utilize the system, such as geocaching, emerged and developed a niche following. The Space Shuttle Columbia Disaster occurred in February 2003. SpaceshipOne made the first privately funded human spaceflight on June 21, 2004. Corrective eye surgery became popular as costs and potential risk decreased and results further improved. 244 new drugs were approved by the U.S. Food and Drug Administration. RFID (Radio Frequency ID) became widely used in retail giants such as Wal-Mart, as a way to track items and automate stocking and keeping track of items. Self-serve kiosks became very widely available, and were used for all kinds of shopping, airplane boarding passes, hotel check-ins, fast food, banking, and car rental. ATMs became nearly universal in much of the First World and very common even in poorer countries and their rural areas. ↑ WMAP mission (2006-03-16). "The Age of the Universe with New Accuracy". NASA. Archived from the original on 23 January 2008. Retrieved 20 January 2008. ↑ "SPACE.com -- It's Official: Water Found on the Moon". Archived from the original on 2009-10-08. Retrieved 2009-10-05. ↑ Sharma, Dinesh (2005-08-02). "Study: Broadband penetration to surge by 2010". CNET News.com. Archived from the original on 11 February 2007. Retrieved 10 February 2007. ↑ "US Broadband Penetration Breaks 80% Among Active Internet Users". WebSiteOptimization.com. May 2007. Archived from the original on 16 February 2008. Retrieved 20 January 2008. ↑ "Total broadband subscribers by country (Dec. 2008)". OECD. May 2009. Retrieved 15 July 2009. ↑ Associated Press (2006-01-19). "Digital Music Sales Booming". Wired News. Retrieved 20 January 2008. ↑ "Archives for the category: Mobile phone projects - Third World". textually.org. Archived from the original on 25 January 2008. Retrieved 19 January 2008. ↑ Belfiore, Michael (2007). Rocketeers: how a visionary band of business leaders, engineers, and pilots is boldly privatizing space. New York: Smithsonian Books. pp. 80–111. ISBN 978-0-06-114903-0. Retrieved 2014-12-28. ↑ Williamson, Simon (2003-11-26). "Why run Windows on an ATM?" (blog). Retrieved 19 January 2008. Remember, a lot of banks in third world countries have ATMs.